As a Muslim, you’re probably familiar with the teachings of the Prophet, calling to Allah and the duty of Da’wah. Da’wah was the essential duty of all the Prophets and it plays a big part in the life of any believer, bringing with it many rewards, and now more than ever there is a desire for others to learn about Islam and its teachings. A lot of the information provided about Islam is biased and poorly researched and this creates an inaccurate view of Islam and our beliefs. So, as Muslims, we want to share our faith with others; explaining the basic beliefs, removing confusion and sharing our own personal experiences of how Islam can positively impact a life. However, many people are held back by not knowing where to start and through a lack of training. Without the correct information and guidance, engaging in da’wah can seem daunting. This is where The Messengers of Peace Academy comes in. The Messengers of Peace Academy is an online resource that trains you on the essential skills and knowledge required to engage in Da’wah successfully. The curriculum used at The Messengers of Peace Academy is tailored to Muslims like yourself and a specifically Muslim audience; great care, time and attention has been put into ensuring all topics are covered. Every lesson you take part in is delivered online using interactive technology and this provides you with a high quality learning experience and everything you need to know about Da’wah. Why Choose The Messengers of Peace Academy? At The Messengers of Peace Academy you will learn all about Da’wah including its best strategies, techniques and skills. All of this is done from the comfort of your own home through an online platform and accessible from any device. The FREE online courses are structured, interactive and given in manageable lessons; this ensures you are engaged, informed and driven at all times. We’ve created a learning service that includes live sessions, e-books and online resources. With a team of reputable scholars and specialist instructors from around the world, we are able to offer a high quality learning experience in Da’wah. We also have a number of mentors who provide regular feedback and guidance, whenever you need it. ​Take the first step on this important Muslim journey. A short course designed to empower you with the most important tools of Dawah. Familiarise yourself with the 6 step GORAP method, an effective and systematic approach to Da’wah. Equip yourself with the knowledge and tips necessary to start inviting others to Islam. Learn how to create Da’wah projects, teams and structures in a professional way. This course covers the essential traits necessary for a caller to Islam. Gain a deeper understanding regarding the most important characteristics like sincerity, patience, knowledge, wisdom, humility, truthfulness and brotherhood as explained in the Qur’an and Sunnah. Learn the prophetic method of da’wah and how to deal with obstacles in the path of da’wah. Master the art of effective communication and body language. In this module you will learn the 4 aspects of communication, the 3 tells method, and the most common communication barriers. You will also learn how to judge your own body language, discover what your appearance tells people about you, and learn how to project a confident and inspiring message. In this course you will study the science of changing people’s minds and behaviour and its impact in giving da’wah. You will learn how to change what others think, believe and feel. You will also discover the inner secrets of persuasion and building rapport. You will explore new concepts like, cognitive dissonance, reactance theory and identify powerful techniques to disarm even the biggest sceptics. This course deals with some of the difficult questions raised by the critics. Arm yourself with powerful and coherent responses to the arguments of atheists. Learn the golden rule of da’wah, the Muhammad equation, the falsification test, 4 types of guidance, how to think outside the box and much more. If you want to learn how to be a successful and effective caller then this course is for you! In this course you will study universal and Islamic arguments for God’s existence and learn the responses to popular and academic objections against the belief in God. Did the universe come from nothing? Was the universe the product of chance or design? Does evil and suffering negate Divine mercy? Find out these answers in this knowledge packed course. Shaykh Abu Eesa was Born in London, England, and tracks his roots to the Naser Kheil tribe of the North West Frontier in Pakistan. He studied both Pharmacy at the University of Manchester and then Anthropology, and then later studied Arabic, Islamic Law and the Qur’an with its memorisation from scholars in a diverse array of locations. 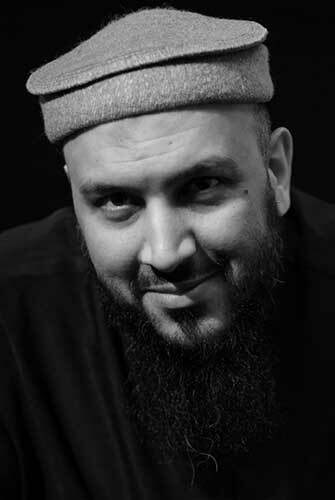 Shaykh Abu Eesa previously served as the Resident Scholar of Cheadle Masjid in South Manchester, and still continues to teach Fiqh weekly there as part of the onsite and online initiative known as “Logical Progression.” He was the previous Resident Scholar of the 1st Ethical Charitable Trust in Bolton, an organisation dedicated to civic engagement and Islamic legal and financial education. He was the original founder of ‘Prophetic Guidance’ (PG) and still remains as the main teacher presenting PG’s classes and events such as the famous “Last Testament” play; his popular commentary to ‘al-Adab al-Mufrad’ class is still aired today on Islamic TV channels. He is also the Vice-Chair of the Al-Qalam Sharī‘ah Panel, the UK’s premier fatwa body for legal and financial concerns. Shaykh Abu Eesa spends most of his time traveling and delivering courses for AlMaghrib Institute. Shaykh Alaa was born in Cairo and currently lives in Toronto, Canada. He has studied for his Bachelors in Sharīʿah from the American International University, and has earned a scholarship from the Shari’ah Academy in Egypt/Florida. Shaykh Alaa has also received his ijāzah of Qurʾan recitation for Ḥafṣ ʿan ʿĀṣim, studied comparative religion for five years through the IPCI in South Africa, and was on the board of directors of the World Assembly of Muslim Youth. Shaykh Alaa is a member of the Canadian Council of Imams as well as a member of Horizon Interfaith Communication Media Council. Shaykh Alaa was a member of the Calgary Multi-Faith Committee, and a member of the Muslim Christian Dialogue Committee. Sheikh Alaa received the Alberta Centennial award by the Alberta Government in 2005, granted to him for his outstanding service to the Alberta community. 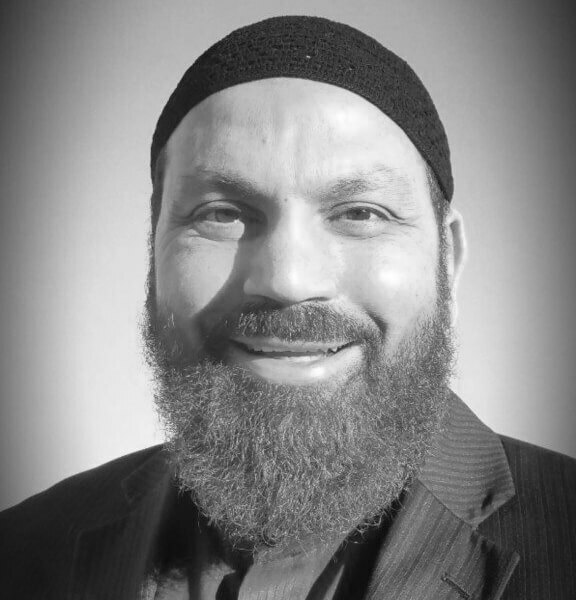 Currently Shaykh Alaa is the Director of Religious Affairs for the Islamic Centre of Canada-ISNA. Prior to that, he was the Executive Director for the Canadian Islamic Congress. Shaykh Alaa is also a tutor with AlKauthar Institute and works closely with Mercy Mission’s projects worldwide. Shaykh Kamal has been dubbed the Black Belt of Dawah. With decades of experience in the Dawah scene, Shaykh Kamal combines his ground-breaking teaching style with his own dash of humour, certain to leave students feel at ease & entertained, but above all skilled and empowered. Shaykh Kamal is known best for his workshop “How to Give Shahadah in 10 Minutes”, a 6-hour workshop designed to empower MSAs and Dawah organizations in the art of Dawah. His lectures and online videos (targeting contemporary challenges) have also gained popular fame and positive impact among Muslims and non-Muslims alike. Educated at the hands of numerous prominent Islamic scholars from across the world, Shaykh Kamal also has dynamic experience in the secular world. Ustadh Abdurraheem Green embraced Islam over 20 years ago and since that time has been active in the field of da’wah. He was educated in a Christian monastic school and although held strong Christian principles dabbled with other religions. This continual quest to find meaning to life eventually led him to Islam. Ustadh Abdurraheem spent many years at Speakers’ Corner in Hyde park, where he made his name as an inspirational orator. He has been delivering talks nationwide including universities during this time, and also on international platforms, such as the Peace Conference in Mumbai. He is a regular on Peace TV with many of his lectures widely watched online. Ustadh Abdurraheem is a founding member and chairman of iERA. Ustadh Hamza Andreas Tzortzis is an international public speaker on Islam, a writer, lecturer, instructor and researcher. He is particularly interested in Islam, politics, western and Islamic thought and philosophy. Ustadh Hamza delivers workshops, seminars and courses on the foundations of Islamic thought. He is an instructor for prominent dawah organisations including iERA and AlKauthar Institute. Ustadh Hamza is a popular speaker at UK University campuses, and has also travelled the world extensively to deliver lectures, most notably in the USA, Australia, Netherlands, Malaysia, Canada and Lebanon. He has authored a number of Islamic publications as well as serialising a number of articles on his popular blog. 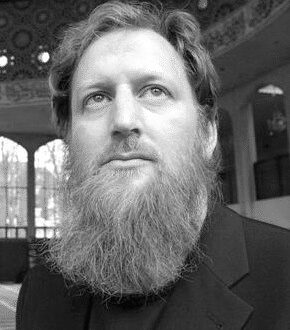 Shaykh AbdurRaheem McCarthy is of Irish-American heritage and was born and raised in the USA. 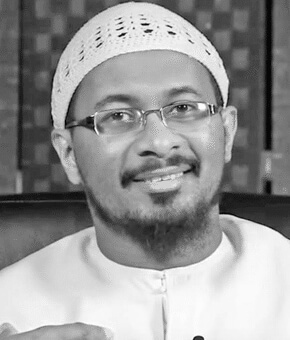 After accepting Islam in 1994, he moved to Sudan and then Saudi Arabia where he spent 10 years and graduated from the Arabic Institute and then from the faculty of Da’wah, Islamic University of Madinah. He lectures internationally and also appears on several satellite channels. Shaykh McCarthy has now decided to follow his roots and is living in Ireland, while supporting da’wah projects internationally. He is an avid basketball & American football fan and loves to read, spend time with the family and enjoy the outdoors. Shaykh Fahad Tasleem is the founder of DC Seminary, an institute focused on spiritually empowering working professionals, graduates & college students. He also serves as the lead instructor of iERA US (the Islamic Education & Research Academy). His diverse study & research interests include Qur’anic Studies, Da’wah, Islamic & Comparative Theology, Behavioural Economics, Economic History, and Arabic Linguistics. Fahad holds a bachelors in Economics from Michigan State University and a Masters in Business Taxation from the University of Southern California. He studied Arabic at Georgetown University and the University of Texas at Austin. 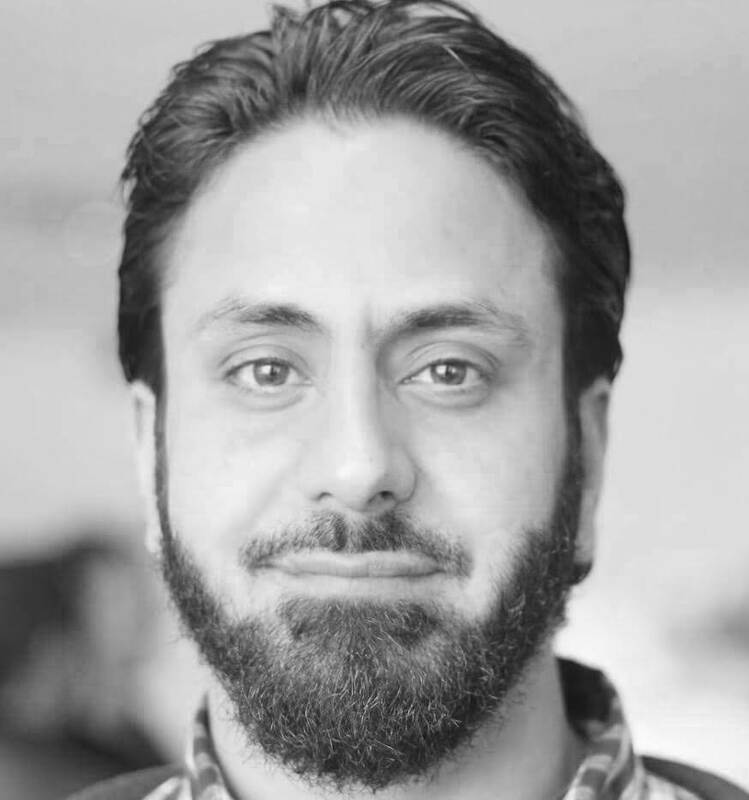 Imran Hussein is an outreach specialist who has focused on delivering reminders and lectures online, in Mosques and across university campuses in the UK. His major focus is on bringing greater Qur’anic discourse into everyday da’wah activities. He also focuses on developing other aspiring callers to Islam across the UK through empowerment, training and 1:1 mentoring. I have been looking for a site like Messengers of Peace Academy for a long time as I encounter lots of non Muslims asking about Islam. I really love the simplicity of the course approach and the lecturers in conveying the episodes. The videos are very precise and to the point. I am very grateful to Messengers of Peace Academy. I used to spend time debating online and in most of those cases it was counterproductive. But after studying this course I feel that I have the ability to prioritise my topics and I can tackle those really hard questions with ease. While studying at Messengers of Peace Academy I have benefited a lot from every single episode. The course contains brilliant information about Da'wah that I would highly recommend. It offers you the freedom to study whenever and wherever you like and I am so grateful to all of the MOPA team for making my dream come true. At The Messengers of Peace Academy you will learn all about Da’wah including its best strategies, techniques and skills. All of this is done from the comfort of your own home through an online platform. The FREE online courses are structured, interactive and given in manageable lessons. Join today To find out more about The Messengers of Peace Academy get in touch. Contact us today.